Sarah Alexander has work in “Unapologetic (Sorry)” - Metrowest Women's Juried Art Show, March 15-May 11, 2019 at Amazing Things Art Center Gallery https://amazingthings.org/art-gallery . 160 Hollis Street, Framingham MA 01702. Brenda Cirioni has work in “Quiet Quandry” at Three Stones Gallery, 115 Commonwealth Ave. in West Concord, MA. The exhibition runs March 12 to April 27 with an opening reception Saturday, March 23, 6:30-8:30pm. Denise Driscoll has a solo show, “Shimmer,” at Percival Brewing Company, 83 Morse St, Norwood, MA. The exhibition runs from February 23 to April 5 with an opening reception Thursday, February 28 from 6 to 8 pm. 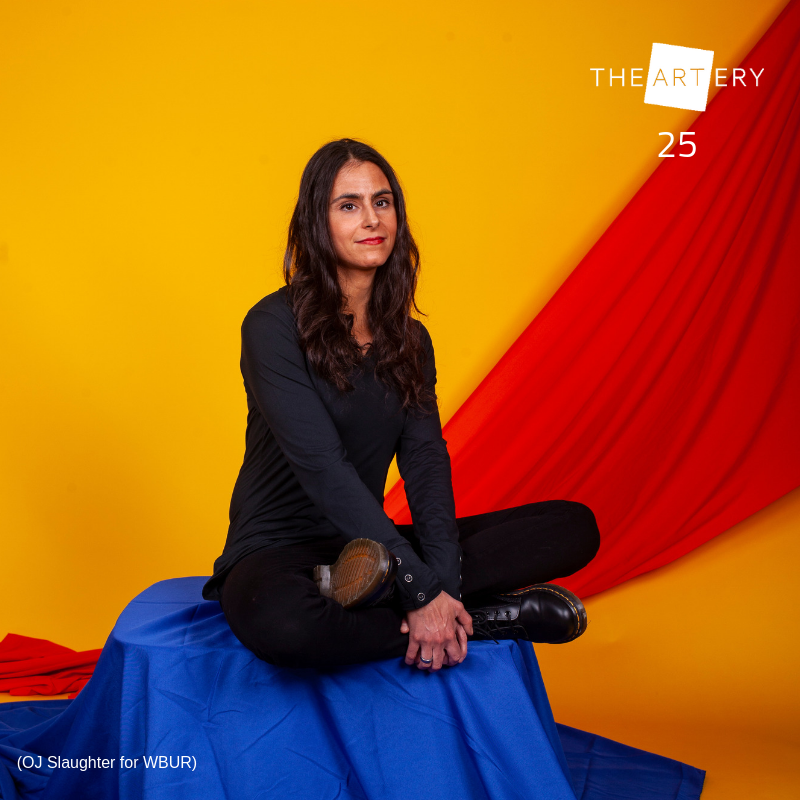 Allison Maria Rodriguez was selected by WBUR's The ARTery as one of "The ARTery 25," an honor celebrating 25 millennials of color impacting and shaping the creative and cultural landscape in Boston. Rodriguez will have video work in The Salon for Experimental Sound and Image (SESI), which is a live, mixed-media combination of concert, screening and collaboration with performers and video work being presented as an audio visual experiment. SESI takes place in conjunction with the exhibition “The Skin Has Eyes: Animated Visions” curated by Maya Erdelyi at the Mills Gallery at the Boston Center for the Arts on Saturday, April 6th from 7-10pm. Rodriguez has work in “The Cube Art Project,” a curated public art exhibition of digital art, moving images, and animations from around the world, screened on the City of Lincoln’s 750 sq. ft. outdoor LED screen, for a full year from Oct 2018 - Oct 2019. The exhibition is located at The Railyard on 350 Canopy Street in Lincoln Nebraska. Rebecca Skinner also has work in "Objective" at Brookline Arts Center located at 86 Monmouth Street, Brookline, MA. The exhibition runs March 15 -April 19 with an opening reception March 22 from 6-8pm. Linda DeStefano Brown will have work in "A Sense of Place" at the W Gallery, ArtsWayland, 60 Andrew Avenue, Wayland MA. This exhibit is work from five artists who are members of 6 Bridges Gallery in Maynard. The exhibit runs from April 1-29 with a reception and artist talk on April 27, 6-8 PM. Patricia deGrandpre had a print selected for the juried “Small Works Salon” at Chandler Gallery, Cambridge. That show runs March 25 - April 19. Anita Loomis has a solo exhibit of oil and watercolor paintings at the Harris Berman Gallery, a private art gallery located at Tufts Health Plan in Watertown, MA. The exhibition is running now through May 1st. A reception will be scheduled soon. Please email inquiries to anita@anitaloomis.com.